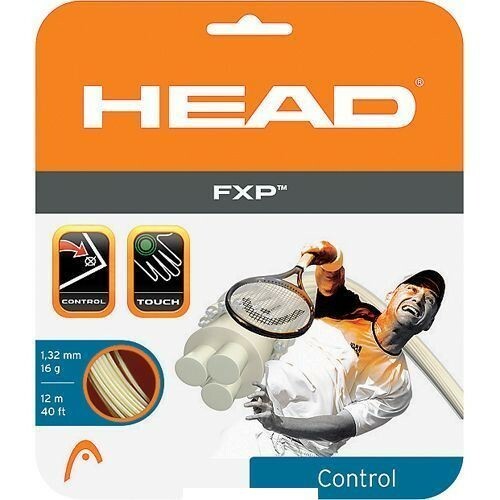 Head FXP is a polyester blend string that offers s softer feel with a lively stringbed. Durability is improved by using a DuPont Synthetic 66 coating. Head FXP is made by combining 3 Fibergel filaments inside the polyamide core. It is then wrapped with 3 polyester filaments and then coated with DuPont Synthetic 66 to reduce friction and notching. All this technology yields a string that provides greater elasticity, better ball pocketing and extra comfort. This string maintains its tension well, so you will the crisp playability of polyester with fewer restrings. Composition: Triple core monofilament blend of polyester and polyamide with a DuPont Synthetic 66 coating.